This is a typically bizarre early Chan film, made by Lo Wei. It concerns Chan escorting a woman across a dangerous valley to find a cure for her sick "brother". 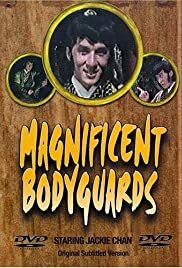 Although not a classic, this film does contain a number of impressive fight scenes,although the script is messy and often confusing. Still,it's nice to see Chan in his long-haired seventies days!